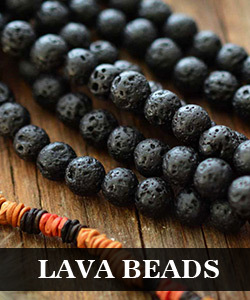 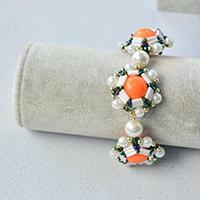 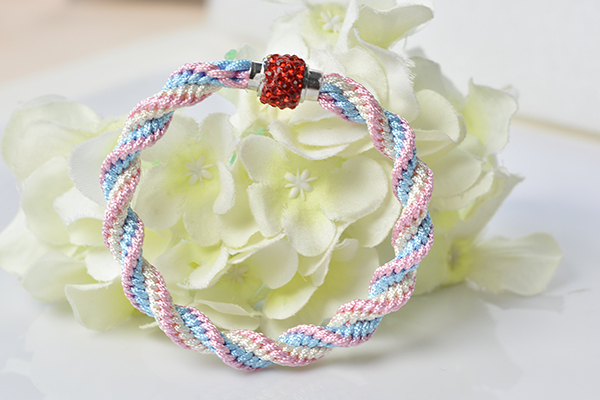 Summary: Are you easy braided bracelet lover? 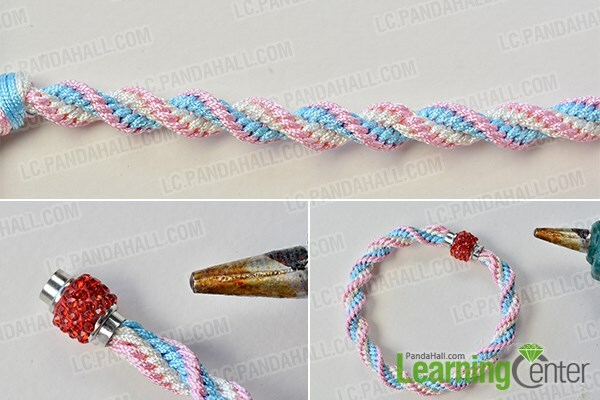 If yes, you can never miss today’s Pandahall tutorial on how to make easy kumihimo bracelet with nylon thread! 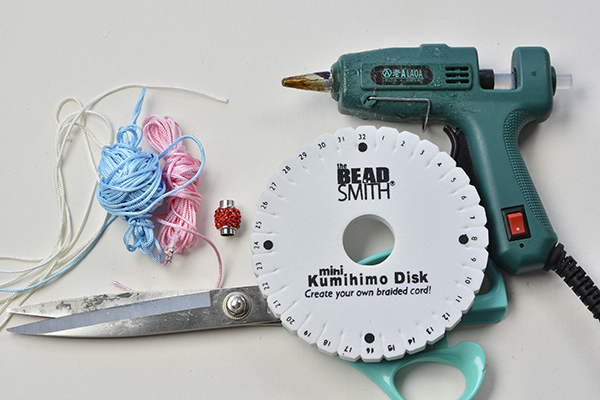 5th, put the left light blue nylon thread on the lower side beside the left light blue one on the upper side of the disk. 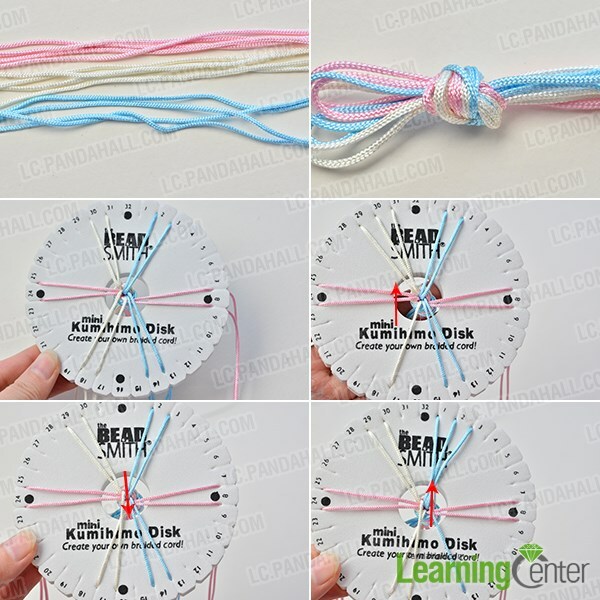 4th, repeat the way to braid the kumihimo bracelet several times until the length is enough for you. 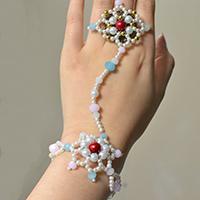 2nd, continue to stuff other end of the bracelet in the other side of the magnetic clasp, then fix them with glue gun.